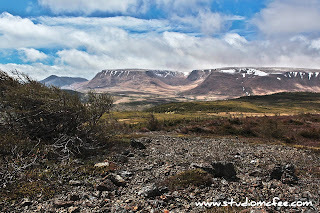 This photo, Rugged Country, was taken in mid-June and that is snow up in the Tablelands. In fact, there was snow at the lookout the morning we visited. Gloves and toques were involved. The retired Postmaster for Woody Point has hiked through much of Gros Morne and says he has seen snow in the Tablelands in August. Newfoundland weather is in a class all of its own. 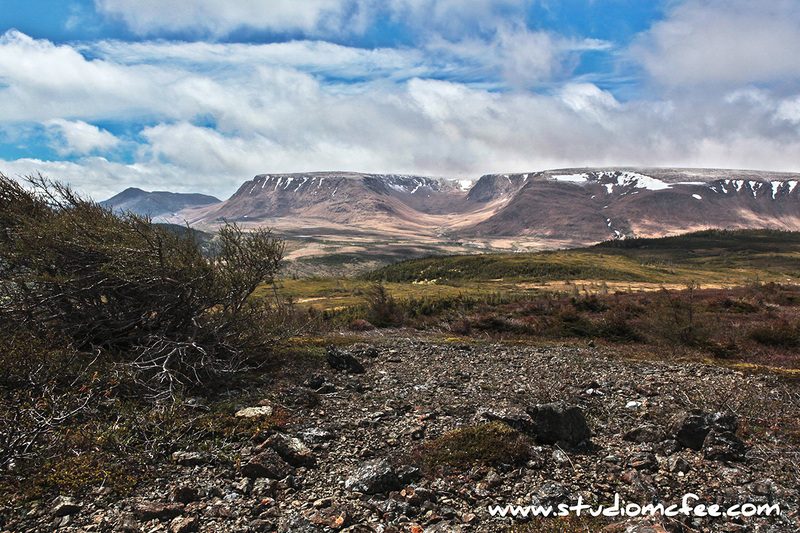 The movie Lord of the Rings was filmed in New Zealand but one wonders if Newfoundland wouldn't have been an equally good choice.